Posted on April 28, 2019 at 6:00 pm. Join us and let us pour you a glass of wine, as we host the Brian Forberger Duo at the winery on Sunday, April 28 from 2-5pm. Guitarist/vocalist Brian Forberger will be performing original music, and covers from decades past. Read more about Brian here. Event is free! Bring your family, friends, and friendly dogs. Posted on April 27, 2019 at 6:00 pm. 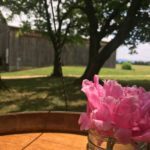 Antietam Creek Vineyards is thrilled to welcome the Jeff Taulton Duo to the winery for an afternoon of delightful music. 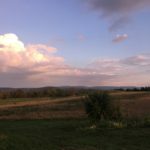 Jeff Taulton is an award-winning guitarist, singer, and songwriter, well known around Western Maryland. Learn more about Jeff and his music at his website. Posted on April 21, 2019 at 6:00 pm. Join us on Sunday, April 21 (Easter Sunday!) as we celebrate all things spring with East of Antietam. This talented duo will be performing from 2-5 p.m. in the ACV Tasting Room. East of Antietam is an acoustic husband-and-wife duo. Learn more about them on their Facebook page. Families, picnics, and friendly dogs all very welcome. Event is FREE! Posted on April 20, 2019 at 6:00 pm. 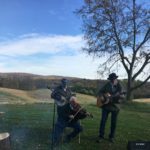 One of our very favorite regulars, The Lonesome Fiddle Ramblers, are back at Antietam Creek Vineyards again for our 2019 spring concert series! Join us on Easter Weekend out on the lawn if it’s a nice day, or in our tasting room if it’s rainy. Delicious wine will be there no matter the weather! 😉 The LFR will be playing fiddle, banjo, and guitar, meaning it’ll be a toe-tapping good time. Families very welcome. Event is free!